Todd graduated from The Culinary Institute of Canada at Holland College in PEI and went on to work at The Lodge at Kananaskis in Alberta and then at a private hotel near Zurich, Switzerland. In 2001, he opened Two Chefs, a fine dining eatery in St. John’s that in its first year, was listed as one of the country’s “Top 50 New Restaurants” in enRoute Magazine. Todd is Chef and Co-Owner of Mallard Cottage, in Quidi Vidi Village, St. John’s. The painstakingly restored 18th century cottage opened as a restaurant in November 2013 after much anticipation. Serving local ingredients in traditional and non traditional ways, Mallard Cottage uses the bounty of Newfoundland land and sea to create a daily changing menu. In it’s first year Mallard was recognized by Enroute Magazine as #5 on it’s list of Top Ten Best New Restaurants in Canada 2014. Since then, Mallard Cottage has been recognized as one of the top restaurants in Canada by “Canada’s Top 100” – consistently appearing in the top 25 since 2016. 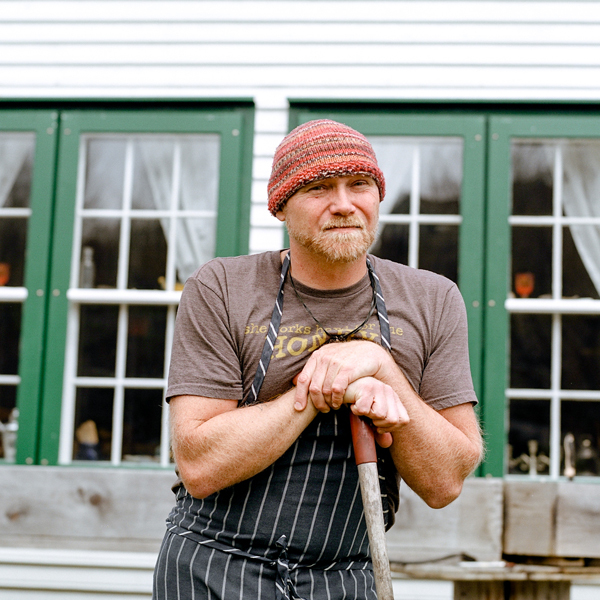 In 2017, Todd and his partners opened The Inn by Mallard Cottage. Overlooking Quidi Vidi Harbour, The Inn by Mallard Cottage is home to 8 rooms in 2 traditional salt box houses nestled in the heart of the Village.